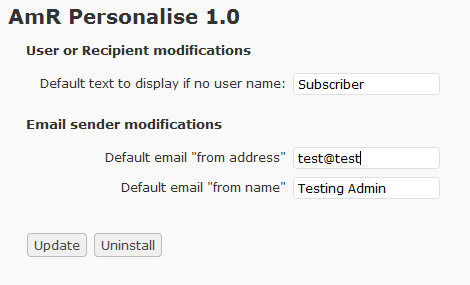 This free wordpress personalisation plugin has a new home at wpusersplugin.com with a suite of user related plugins. The plugin allows one to use shortcode type functionality in any email template or page or post, to extract stored details of the viewer or reader and use them to personalise the content. 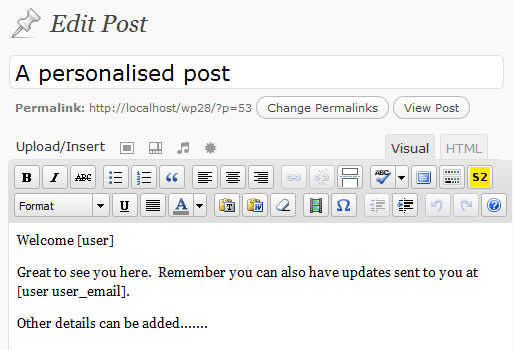 In pages or posts, if the user is logged in, then their details will be used for the shortcode.